Sourced 100% from Our Farm! 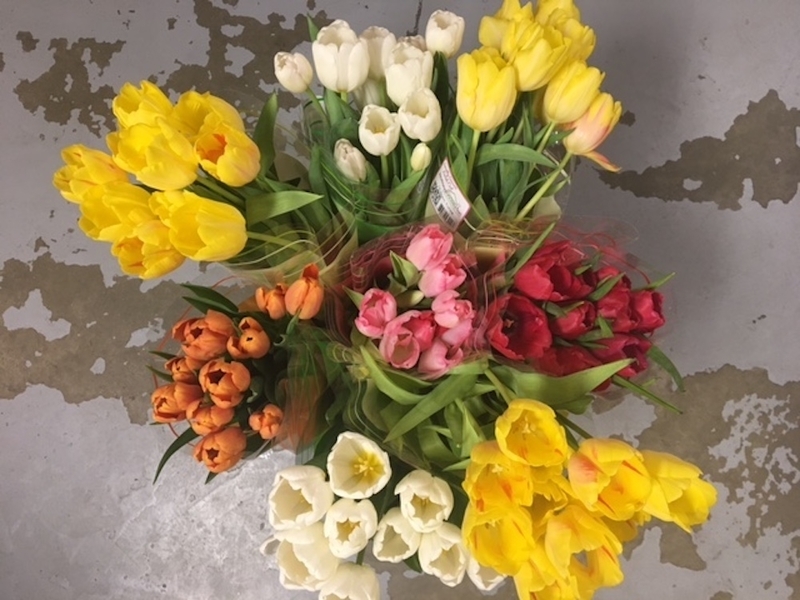 Find Fresh Locally Grown Bouquets! 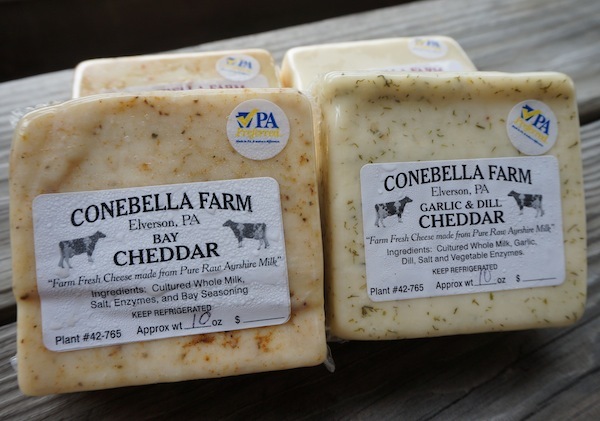 Shop our selection of all-natural dairy items including cheese, milk & more! 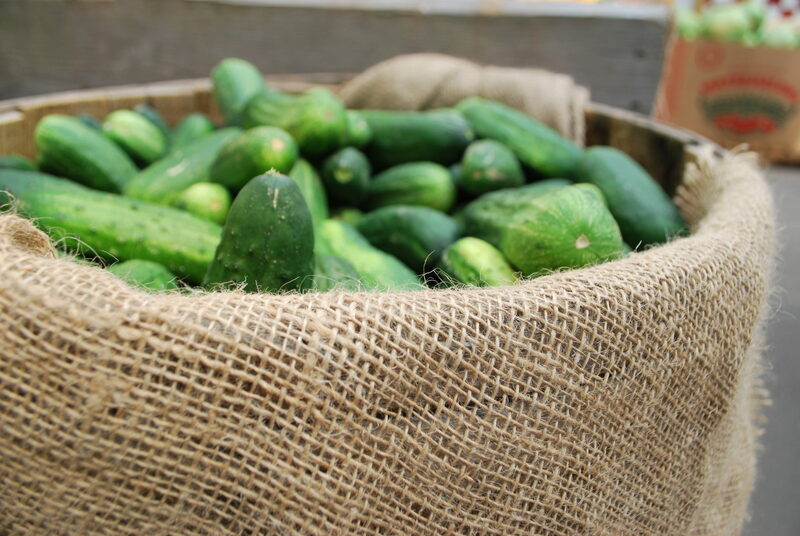 Quality fruits, vegetables and local products are the life of our year-round farm market. We strive to nourish the community with our own orchard-fresh produce and local food that provides healthy, delicious options for our customers. 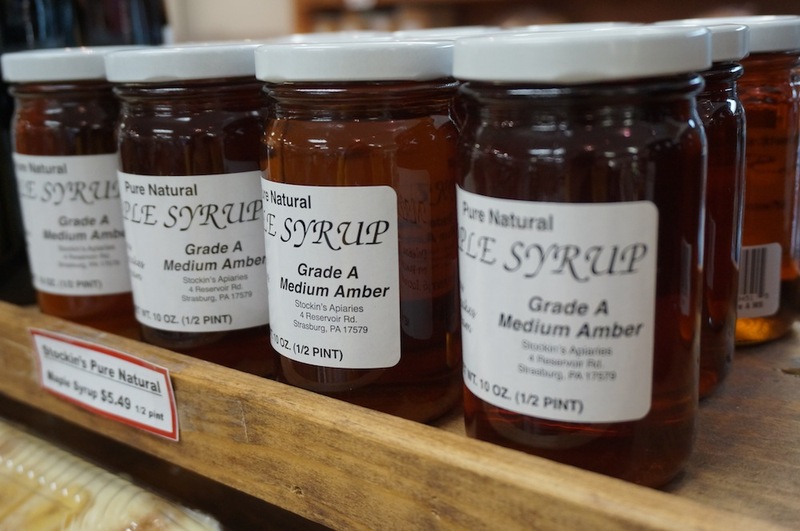 Our farm market is open year-round featuring fresh, locally grown fruits and vegetables, locally raised free-range meats, hormone and antibiotic-free dairy products, local honey and much more. All year round, our market is packed with fresh fruits and vegetables. 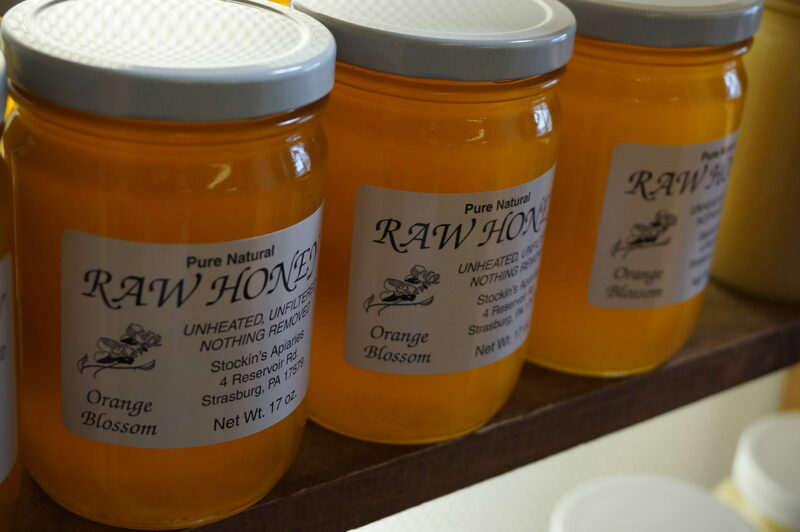 Our berries, peaches and apples are known throughout the region for their flavor and quality. Pick your own or find them in our farm market! 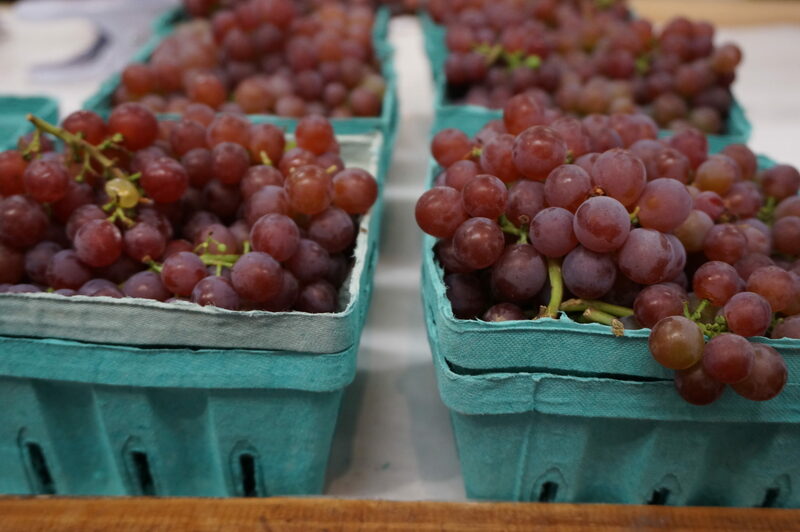 You’ll find an abundance of our homegrown produce in our farm market in season, including apples, blackberries, blueberries, grapes, melons, nectarines, peaches, pears, plums, pumpkins, raspberries, strawberries, sour cherries, sweet cherries, sweet corn and tomatoes. 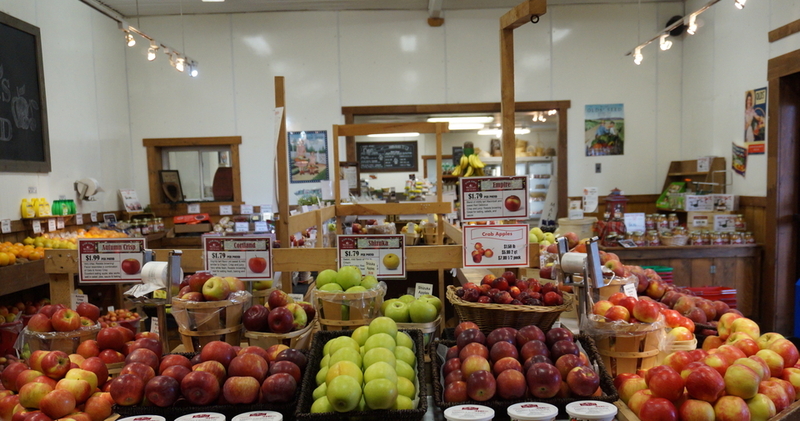 Most produce in our store is grown at the orchard, especially during the growing season. To offer you a wide selection throughout the year, we also sell fruits and vegetables from local family farms. Farms in the tri-county area are always our first stop, and we choose farms that share our vision for quality and our commitment to limiting the use of pesticides. We’re proud to partner with Gristmill Vegetable Farm in New Holland, Leon Martin Produce in Blue Ball and the Weaverland Produce Auction in Blue Ball. 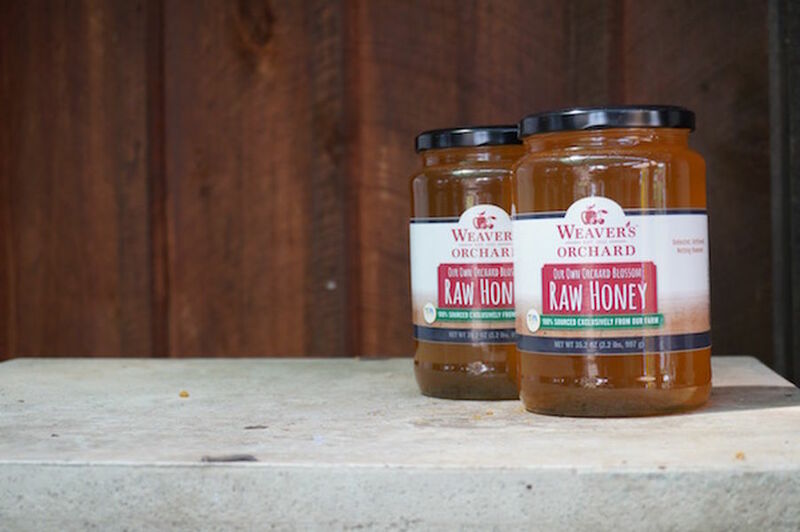 During the winter, you’ll see at least fifteen varieties of Weaver’s Orchard apples and plenty of freshly pressed apple cider. We offer mushrooms, butterhead lettuce, pea shoots and local potatoes throughout most of the winter, and our own greenhouse tomatoes crop up in February. Our bakery brings you a variety of fresh-baked items, including pies, apple dumplings, cookies, whoopie pies, muffins, and much more! Our full‑service deli offers meat, cheese, made-to-order sandwiches and an extensive catering menu. On our Orchard View Ice Cream Deck, we scoop rich, creamy ice cream cones made with Montgomery County’s own Nelson’s Dutch Farms Ice Cream. First delivery made to Weaver’s Orchard this morning! 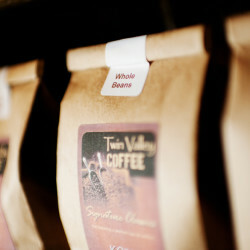 While we were there we found out that the coffee stand in front of the market has some of the most wonderful coffee we’ve tried! Kim’s Cafe is awesome! Picked up a fruit basket on Christmas Eve. 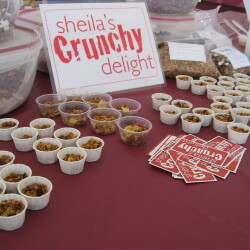 Happy that you had some available as did not advance order and my mother-in-law loved it! 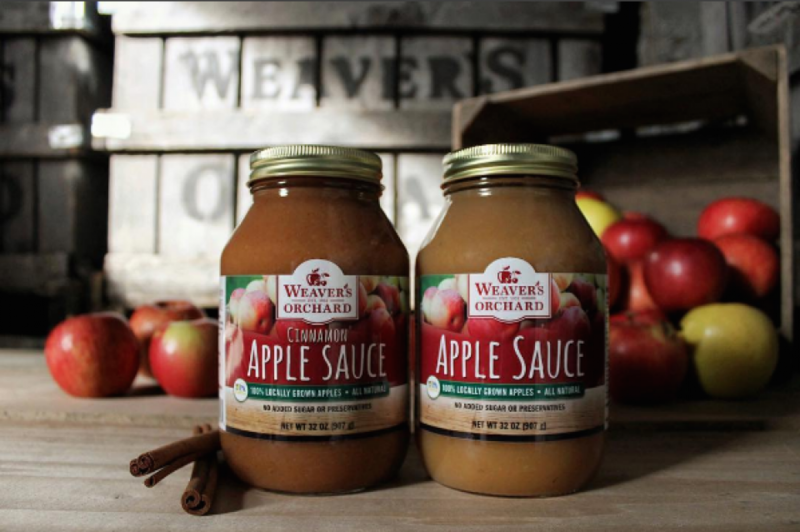 Weavers is a family favorite of ours. 4 generations of our family visit almost weekly. 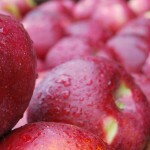 Enjoying Crimson Topaz apples we got from your orchard this week! By far the BEST apple – yum!!!!!! 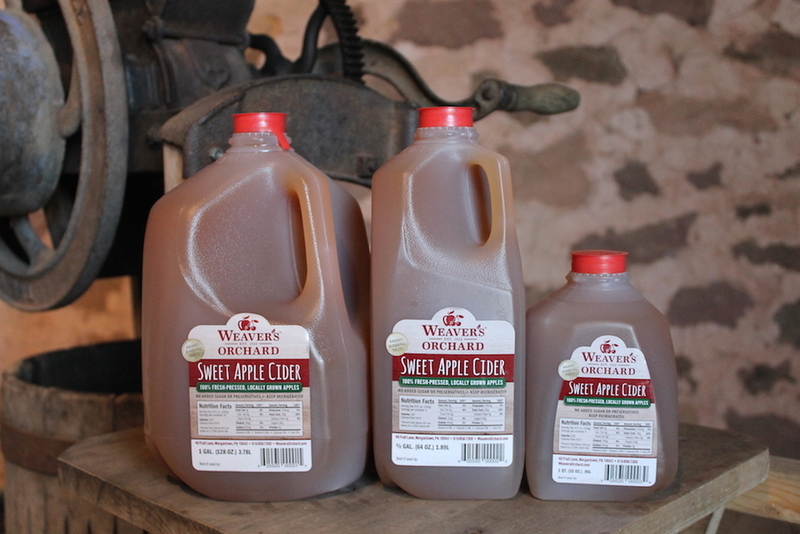 My cousin and her hubby introduced me to Weaver’s Orchard and they have the best apple cider in the world….love it there! After over a week, I finally have a computer connection to let you guys know how great you are!!!! When I arrived there last week with my mom, I found your small bags of dried strawberries and went to the counter. I asked if you had the bigger bags – and surprise – you remembered that I had ordered them from you!!! Your customer service is above and beyond, and one of those big bags is gone already!!! Keep up your great work at a wonderful place to bring the whole family!! Love, love, love your apple cider. I just ate a Weaver’s Orchard cameo apple, and I think I’m in love! I’ll be going back. I really liked the choices. Besides the fresh produce, Weaver’s has the best wraps- all fresh ingredients. Terrific customer service too. Wonderful produce, great atmosphere, and lots to do and see! Awesome pick your own orchard. 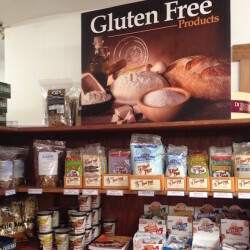 Great selection in the market. I’ve grown up coming to this orchard and I still love my visit every time!! 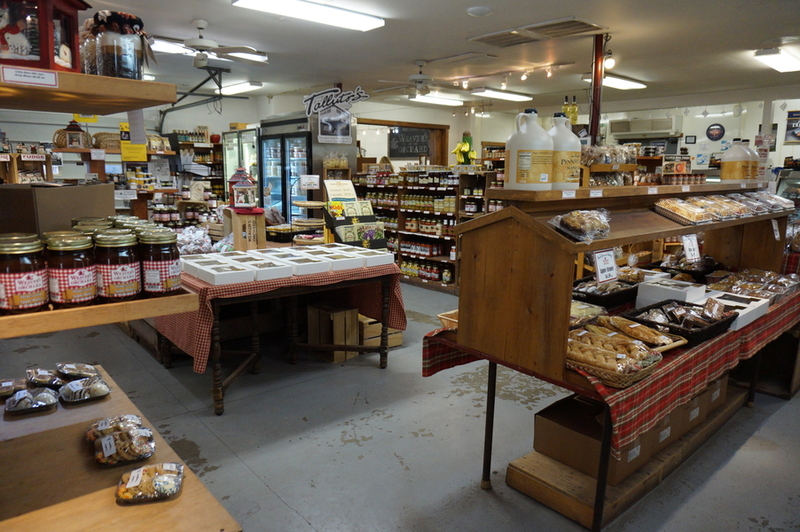 The fruit is always fresh and delicious and the store has lots of yummy treats! 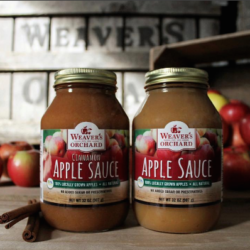 I absolutely adore Weaver’s orchard and recommend it to anyone and everyone! 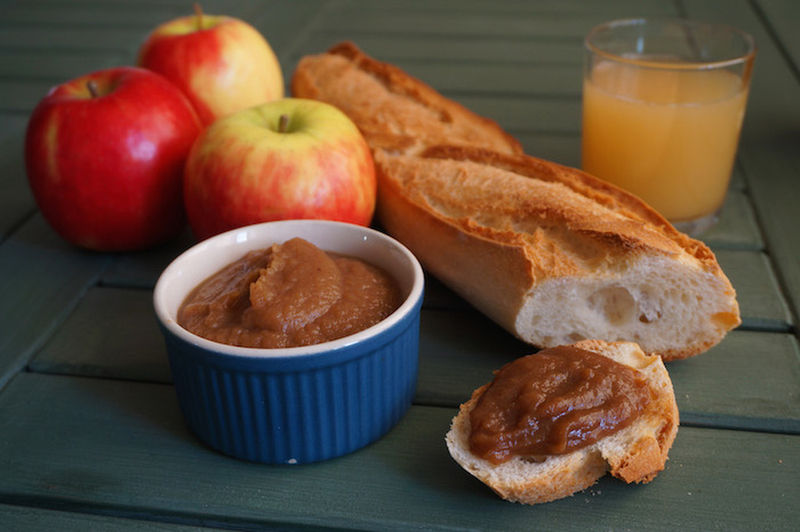 What to look for: Choose crisp, firm apples with smooth skin and stems still attached. 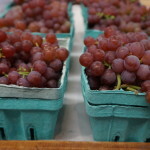 Storage: Refrigerate up to three weeks, keeping away from other produce to avoid over‑ripening. 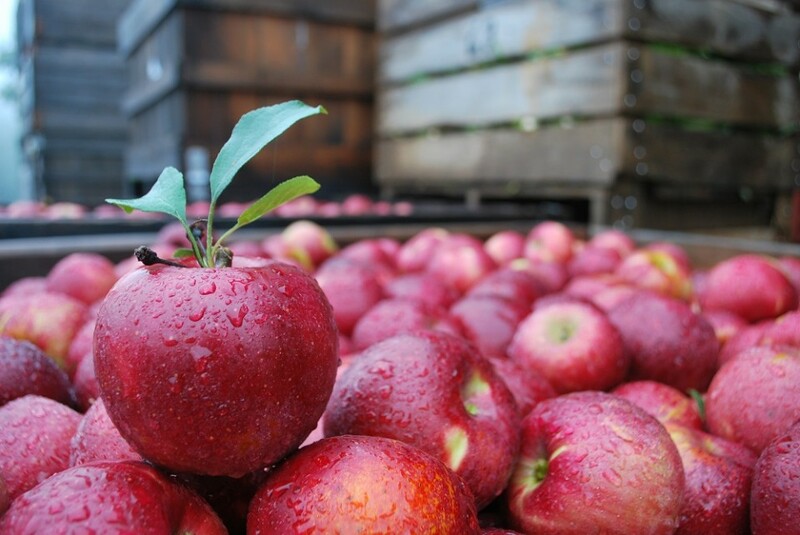 Nutritional benefits: Apples are free of fat, saturated fat and sodium and an excellent source of dietary fiber. What to look for: Apricots should be plump, brightly colored and firm to the touch. Avoid if overly hard, soft or shriveled. Storage: Place in a paper bag at room temperature to ripen. Refrigerate ripe fruit up to 5 days. Nutritional benefits: Apricots are low in fat, free of saturated fat and sodium and are a great source of vitamins A and C, potassium and fiber. 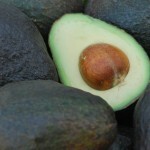 What to look for: Avocados should have firm skin, but fruit should give slightly with gentle pressure. Avoid if they are rock-hard or have any soft spots, splits or dents. Storage: Place avocadoes in a paper bag and allow them to ripen at room temperature. Once ripe, refrigerate 3-5 days. Nutritional benefits: Avocados are sodium free and low in saturated fat. 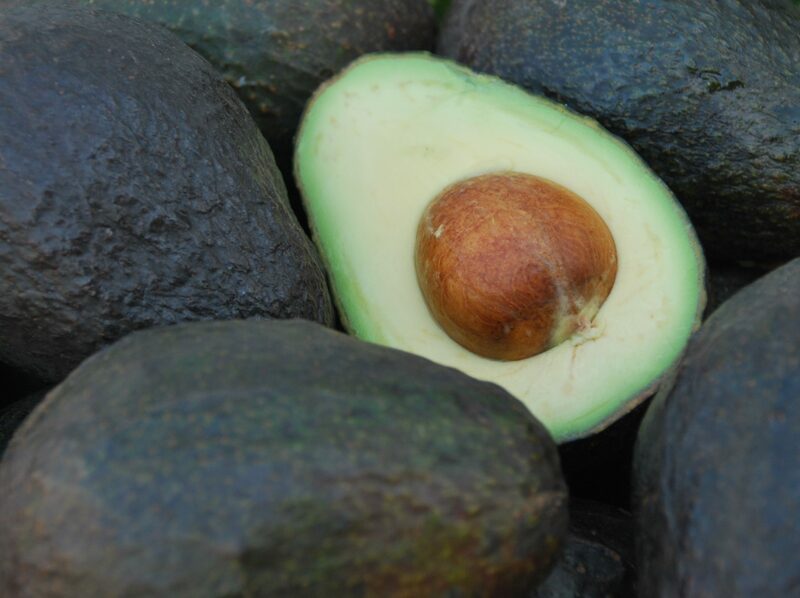 Fun Fact: Avocadoes grow on a tall, dense evergreen tree that is native to South and Central America. Storage: Keep refrigerated and cover loosely with plastic wrap for 10-14 days. Wash just before use. 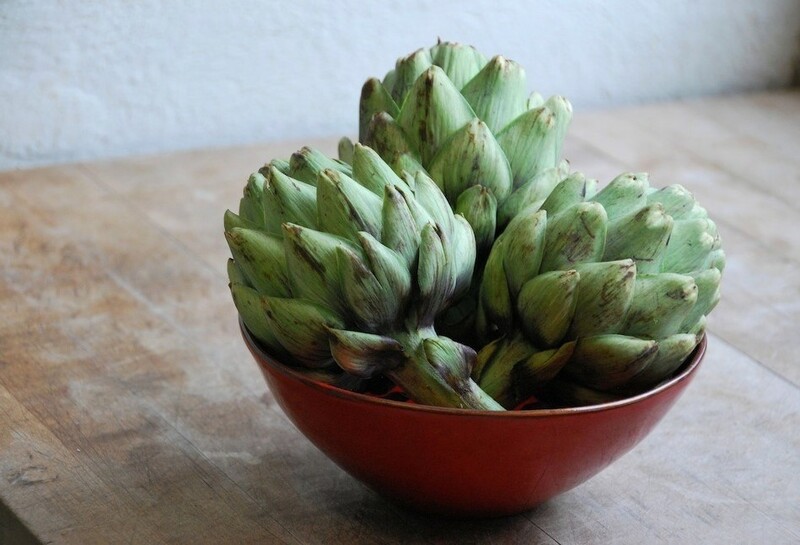 What to look for: Select artichokes that are plump and heavy for their size. The leaves should be tightly closed and squeak when pressed against each other. Avoid if leaves are too wet or too dry, spread apart or hard at the edges. Storage: Refrigerate in an open or perforated plastic bag up to a week. 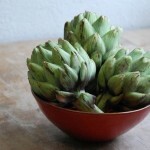 Nutritional benefits: Artichokes are low in calories and sodium and free of fat and saturated fat. They are a good source of dietary fiber, vitamin C, folate and magnesium. Fun fact: Artichokes are part of the thistle family and can grow into a large purple flower if they aren’t harvested early. 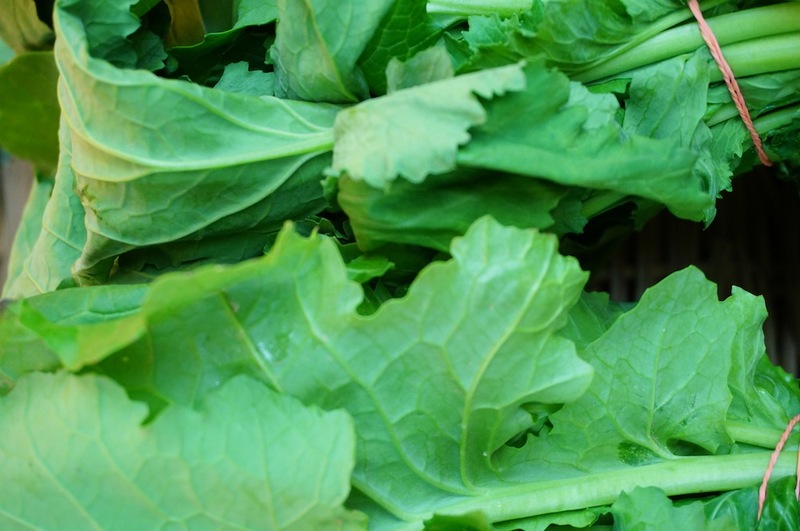 What to look for: Arugula should be fresh with tender, bright green leaves. Avoid if ends are wilted or yellowed. Storage: Refrigerate in a plastic bag with a paper towel to absorb moisture. Keep away from fruits to avoid deterioration. Nutritional benefits: Arugula is low in sodium and fat and a great source of vitamins A and C, folate and calcium. What to look for: Asparagus stalks should be straight with compact, dark green tips. Avoid if they look shriveled or have spreading tips. Look for stalks of equal thickness for uniform cooking times. 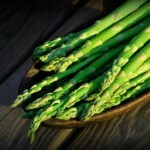 Storage: Cut about an inch off the bottom of asparagus spears, submerge the ends in water and refrigerate. 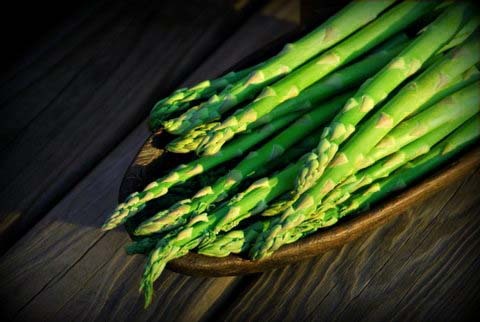 Nutritional benefits: Asparagus is free of fat, saturated fat and sodium and low in calories. 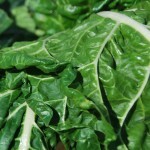 It is also a good source of vitamins A and C and folate. 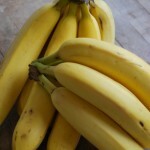 What to look for: Bananas should be a solid yellow color without any soft spots. Storage: Keep at room temperature. If under-ripe, place in a paper bag and ripen at room temperature. Nutritional benefits: Bananas are free of fat, saturated fat and sodium and are a good source of fiber, vitamin C and potassium. Tip: Use half a mashed banana as an egg substitute in quick breads or pancakes. 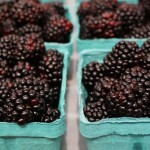 What to look for: Blackberries should be plump, dry and deeply colored. Avoid if moldy or crushed. Storage: Keep refrigerated and cover loosely with plastic wrap for 3-6 days. Wash just before use. 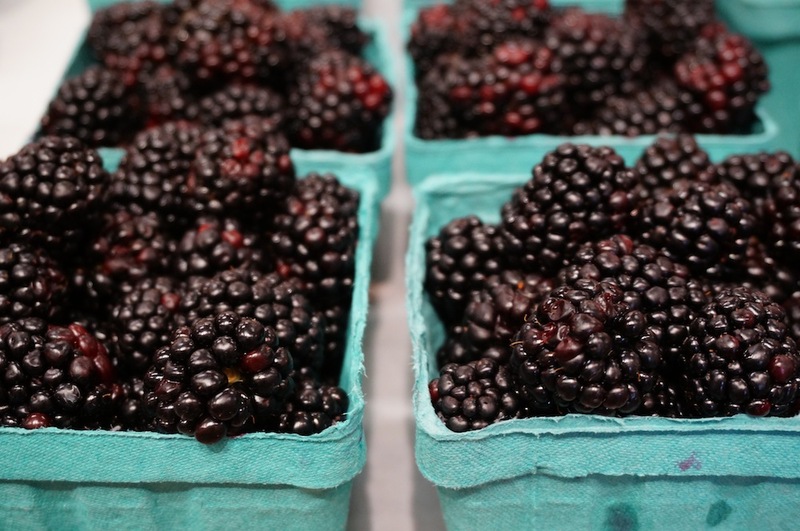 Nutritional benefits: Blackberries are low in fat and free of saturated fat and sodium. They are a good source of fiber and vitamin C.
Freezing fruit: Remove stems, rinse gently and place on baking sheet. Once frozen, transfer berries to a zip-lock freezer bag. What to look for: Blueberries should be dusty blue, firm, plump and a uniform size. 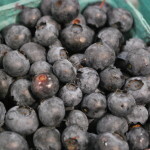 Nutritional benefits: Blueberries are low in fat and free of saturated fat and sodium. They are a good source of dietary fiber and vitamin C.
Freezing fruit: Rinse gently and place on baking sheet. 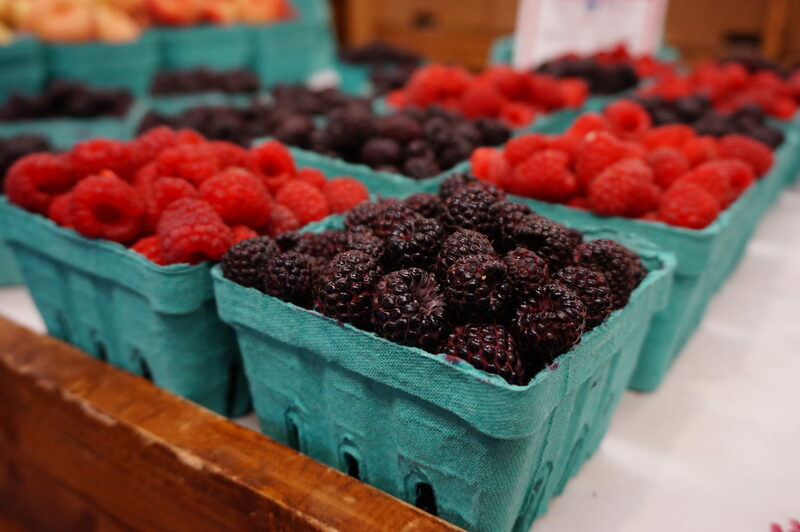 Once frozen, transfer berries to a zip-lock freezer bag. 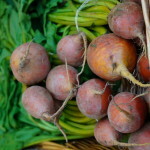 What to look for: Select firm, brightly colored beets with smooth skins and fresh green stems. Small to medium sizes are usually more tender. Avoid if they are bruised, soft, overly large or have wilted leaves. Storage: Remove stems and refrigerate in an open plastic bag up to 3 weeks. 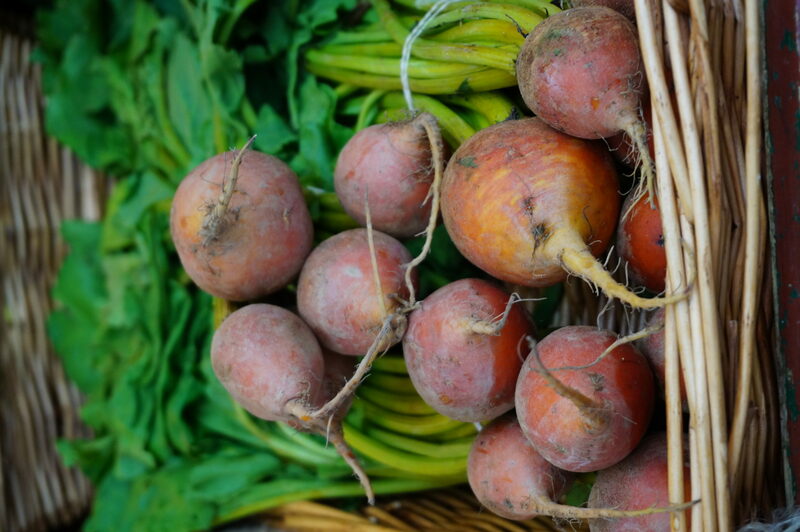 Nutritional benefits: Beets are low in sodium, free of fat and saturated fat and an excellent source of folate. 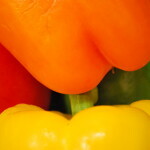 What to look for: Choose firm peppers that feel heavy for their size, with naturally glossy, thick skin and brilliant color. Avoid if they have soft spots or if the ends of stems are darkened. Storage: Refrigerate up to 5 days. Keep away from fruits to prevent over-ripening. 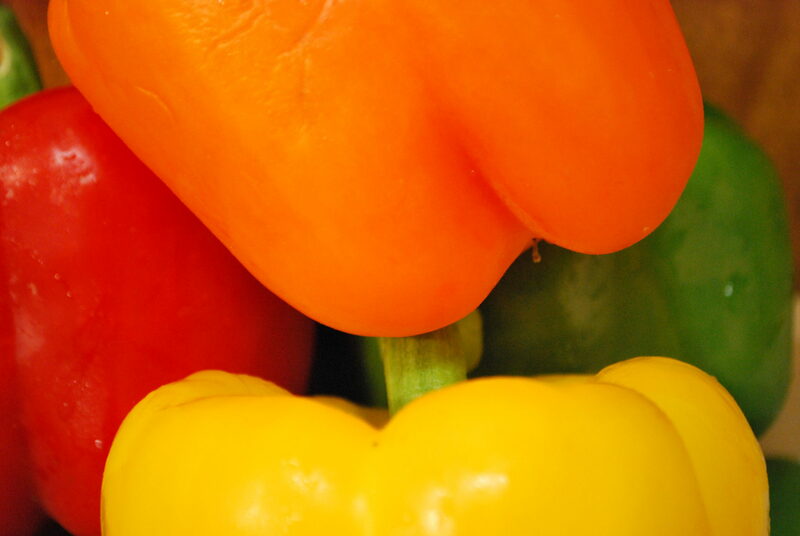 Nutritional benefits: Bell peppers are low in sodium and calories, free of fat and saturated fat and high in vitamin C.
What to look for: Broccoli florets should be firmly clustered and both florets and leaves should be crisp and dark green. Avoid if stalks are too thick or florets are yellowed or flowering. Storage: Refrigerate in an open plastic bag 3-5 days. 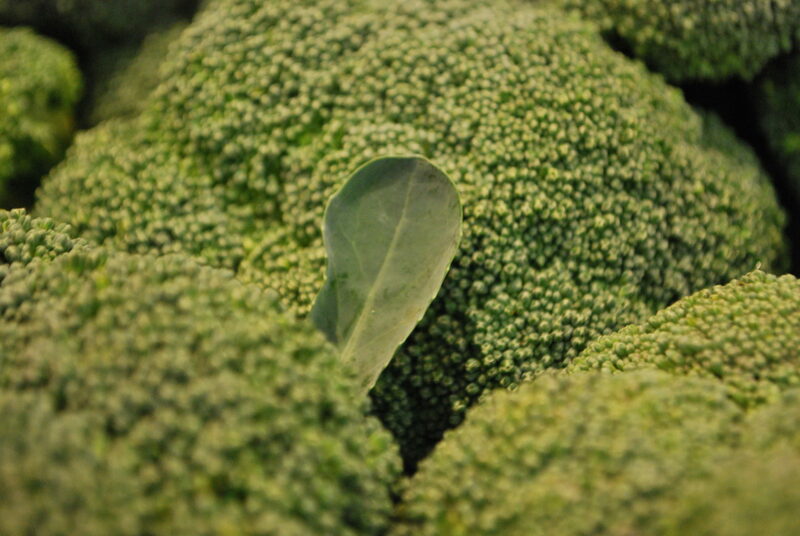 Nutritional benefits: Broccoli is low in fat and sodium and free of saturated fat. It also contains vitamin C and is a good source of folate, dietary fiber and potassium. 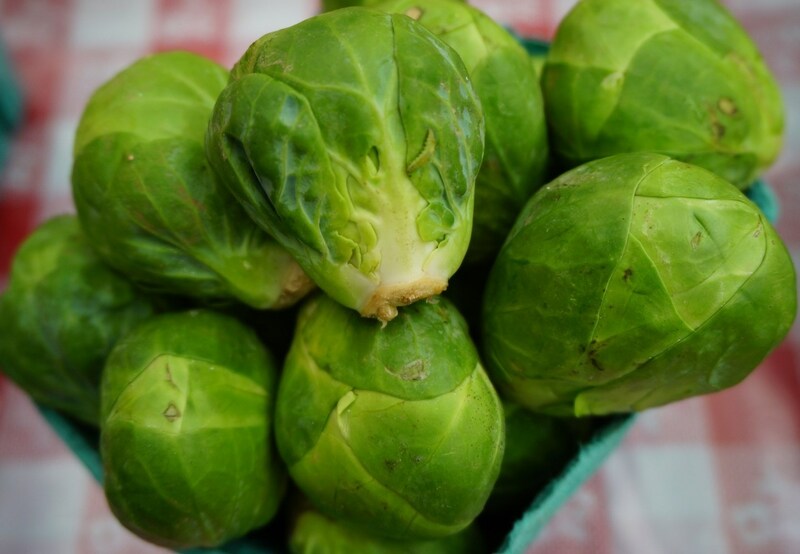 What to look for: Brussels sprouts should be firm and tightly wrapped. Storage: Refrigerate in an open plastic bag up to a week. 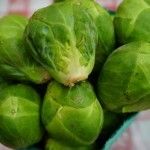 Nutritional benefits: Brussels sprouts are low in calories, fat and sodium and are free of saturated fat. They are also high in vitamin C and a good source of dietary fiber and folate. What to look for: Cantaloupe should be heavy for its size and have a fragrant aroma. The rind should be beige and give slightly with gentle pressure. Avoid fruit with attached stems. Storage: Ripen at room temperature. 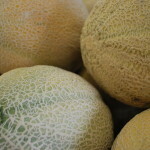 Store ripe melons up to a week in a cool, dry place away from other fruits. Cut melons should be refrigerated and will keep up to 5 days. Nutritional benefits: Cantaloupe is low in sodium, free of fat and saturated fat, high in vitamins A and C and a good source of folate. 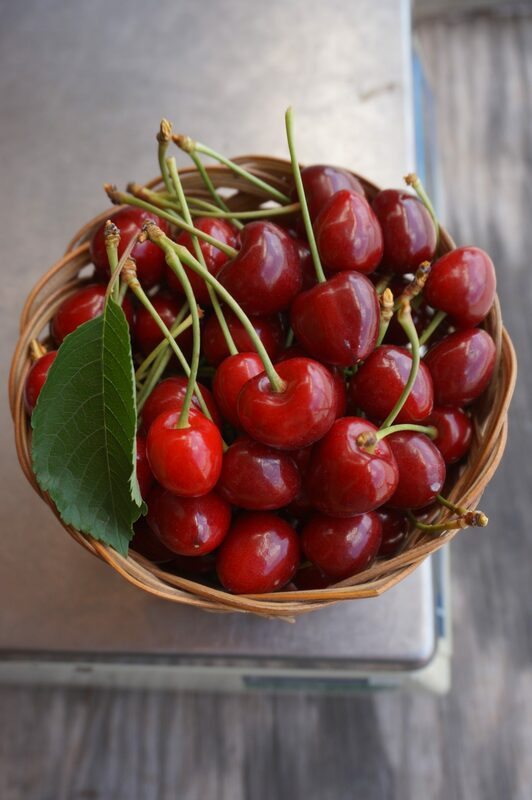 What to look for: Sour cherries should be plump, shiny and brightly colored. Storage: Keep refrigerated and cover loosely with plastic wrap up to 3 days. Wash just before use. 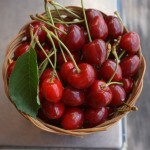 Nutritional benefits: Sour cherries are free of fat and sodium and are an excellent source of vitamins A and C and fiber. 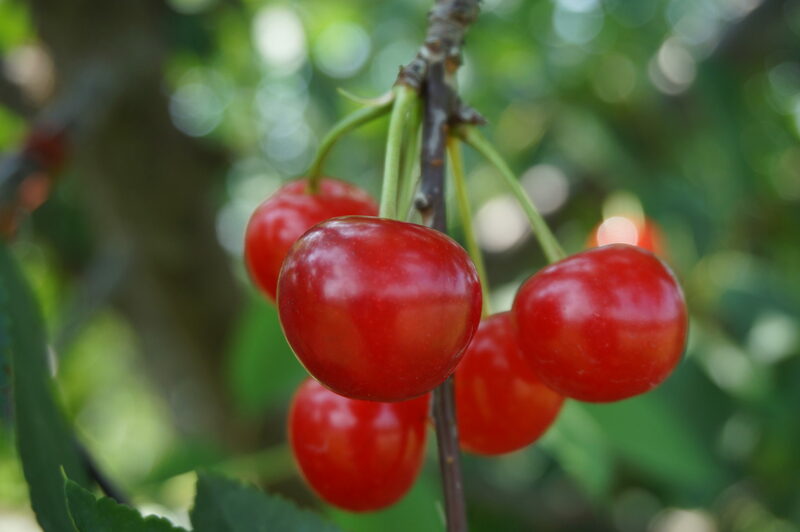 What to look for: Sweet cherries should be plump and brightly colored with fresh stems still attached. Storage: Keep refrigerated and cover loosely with plastic wrap up to 10 days. Wash just before use. 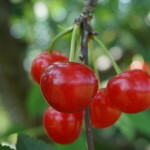 Nutritional benefits: Sweet cherries are free of fat, saturated fat and sodium and are a good source of vitamin C and potassium. What to look for: Coconuts should be heavy for their size without wet or moldy spots on the “eye.” When shaken, it should sound like there is juice inside. Storage: Store at room temperature up to 2 months. Cut coconut can be refrigerated up to a week. Nutritional benefits: Coconuts are low in sodium and are a good source of fiber. 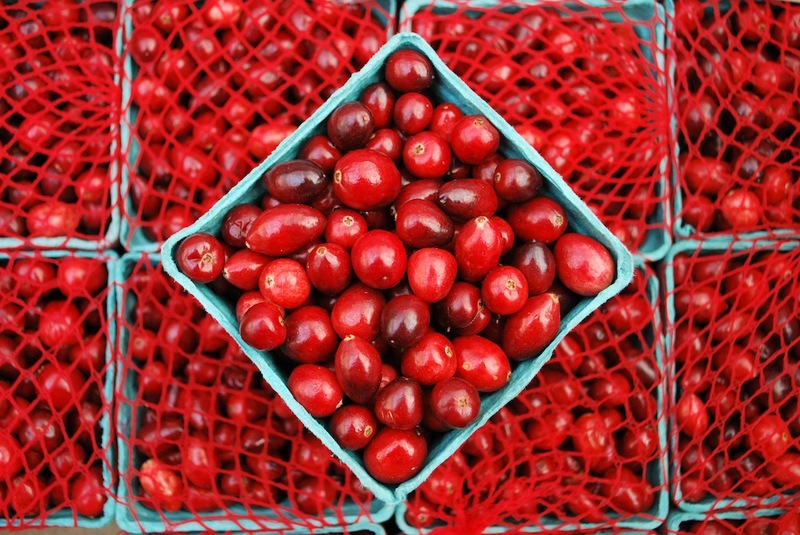 What to look for: Cranberries should be firm, plump and shiny, ranging in color from bright to dark red. Storage: Refrigerate in a perforated plastic bag up to 2 months. 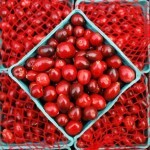 Nutritional benefits: Cranberries are free of fat and sodium and are a good source of vitamin C and fiber. 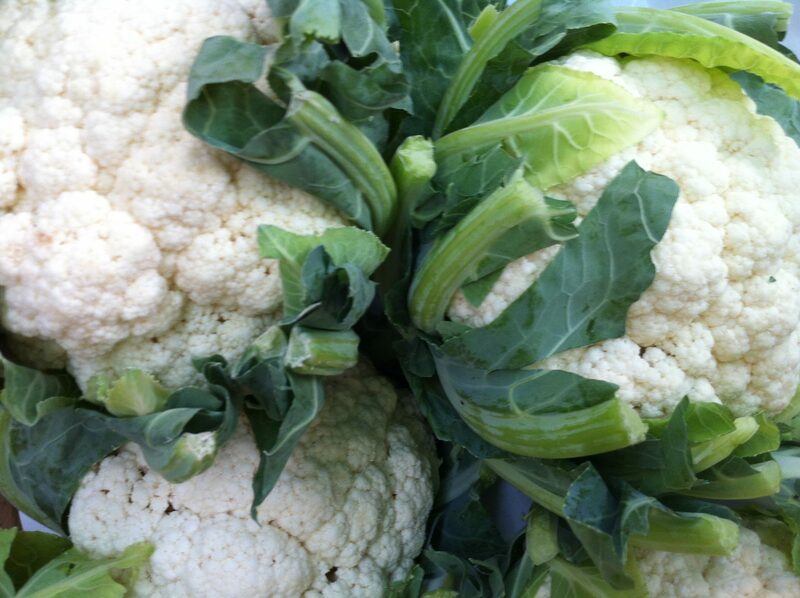 What to look for: Cauliflower should have fresh green leaves and firm heads with tightly packed florets. Avoid if they are yellowed, spotted or have flowering florets. Storage: Refrigerate in an open plastic bag up to 5 days. Nutritional benefits: Cauliflower is low in sodium and calories, free of fat and saturated fat and a good source of vitamin C and folate. 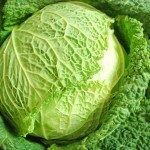 What to look for: Cabbage should have firm heads that are heavy for their size. The leaves should be tightly wrapped and brightly colored without spots, blemishes or wilting. Storage: Keep refrigerated up to a week and cut just before use. 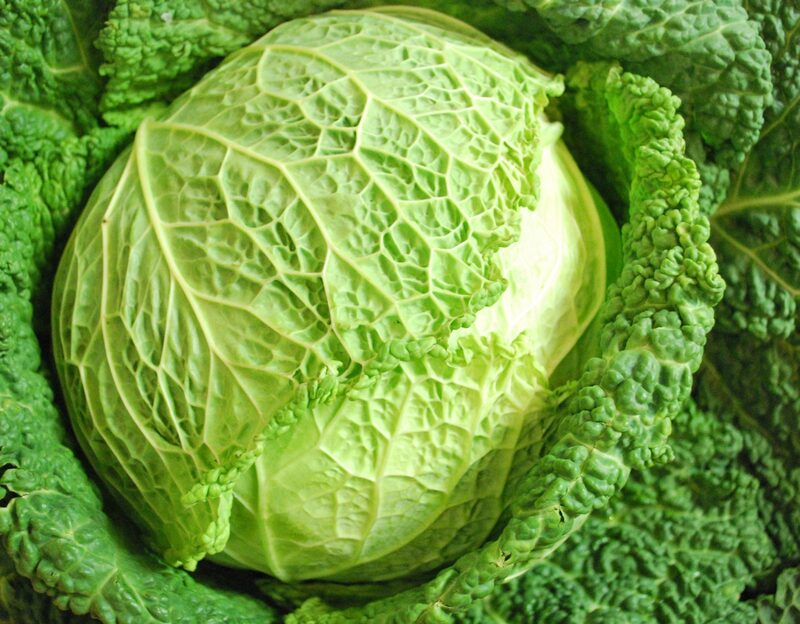 Nutritional benefits: Cabbage is low in sodium and calories, free of fat and saturated fat and high in vitamin C.
What to look for: Carrots should be firm, smooth, straight and brilliant orange. Avoid if limp or cracked. Storage: Remove tops, refrigerate and store in an open plastic bag up to 2 weeks. 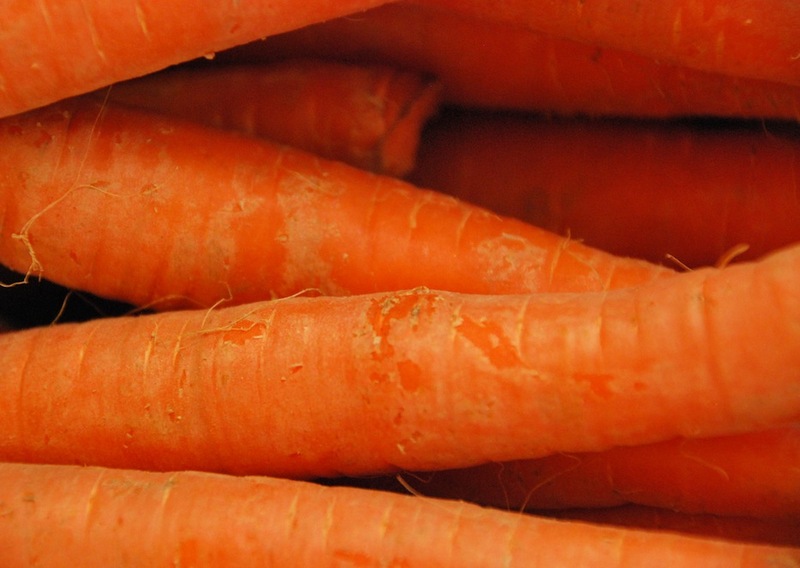 Nutritional benefits: Carrots are free of fat and saturated fat, low in calories and sodium and a great source of vitamins A and C.
What to look for: Celery should have firm, pale green stalks with fresh green leaves. Avoid yellowed, bruised or limp stalks. Nutritional benefits: Celery is low in calories and sodium, free of fat and saturated fat and a good source of vitamins A and C.
What to look for: Collard greens should have crisp, deeply-colored leaves. Smaller leaves are usually more tender. Avoid if leaves are yellowed. Storage: Refrigerate in an open plastic bag. 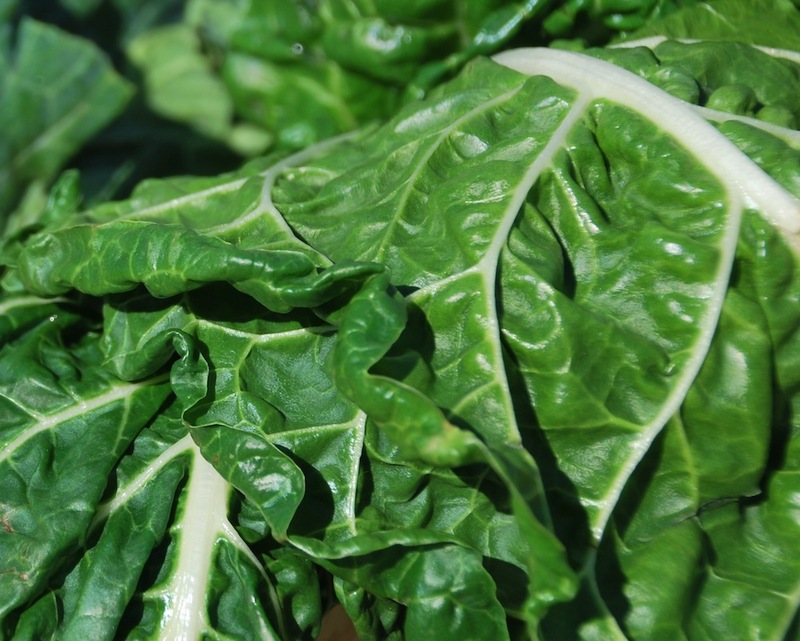 Nutritional benefits: Collard Greens are low in calories and sodium, fat free and a great source of vitamins A and C, folate, calcium and fiber. 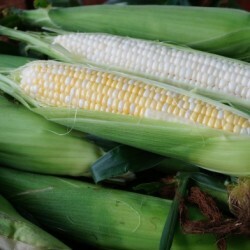 What to look for: Corn should have smooth green husks and soft silk that is moist but not slimy. The ears should have plump, milky kernels. Storage: Refrigerate in an open plastic bag up to 2 days. Nutritional benefits: Corn is low in fat, free of saturated fat and sodium and a good source of vitamin C.
Tip: Cut any leftovers off the cob and freeze in a zip-lock bag for later use. 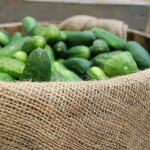 What to look for: Choose cucumbers that are uniformly bright, dark green. Avoid if they have soft spots or are yellowing. Storage: Keep refrigerated up to a week. What to look for: Dates should be shiny and evenly colored without any scars. Storage: Keep at room temperature in an airtight container or refrigerate. At room temperature, they will keep for several months. Refrigerated, they will keep for up to a year. Nutrition benefits: Dates are free of fat and sodium and are a good source of fiber. 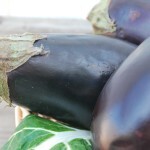 What to look for: Eggplant should be heavy, firm and either shiny purple or white with a green cap. Ripe eggplant will give slightly when pressed and then bounce back. 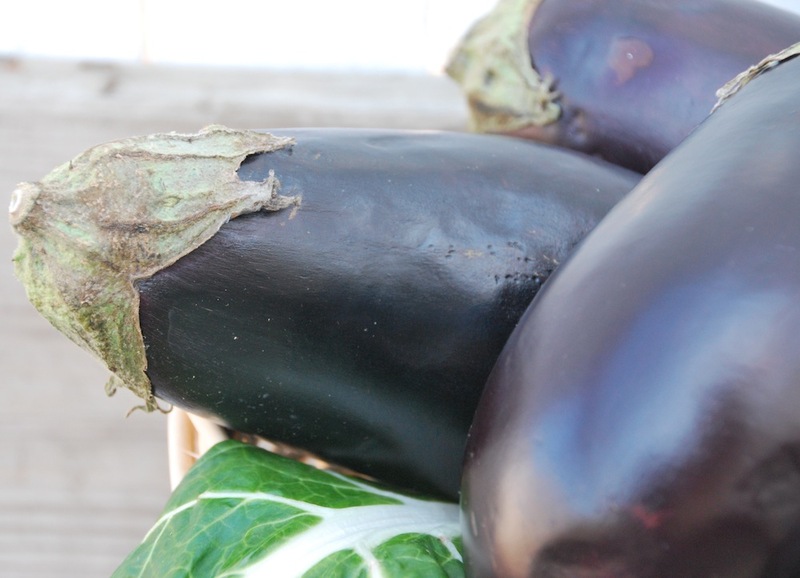 Choose smaller eggplants if you prefer fewer seeds and a milder flavor. Nutritional benefits: Eggplant is free of fat and sodium and low in calories. It is also a good source of dietary fiber. What to look for: Figs should be clean, dry and soft enough to give slightly with gentle pressure, but not mushy. They are very perishable since they are harvested ripe. Storage: Keep refrigerated in the coldest section of your refrigerator up to 2 days. Nutritional benefits: Figs are free of fat and sodium and are a good source of potassium and dietary fiber. 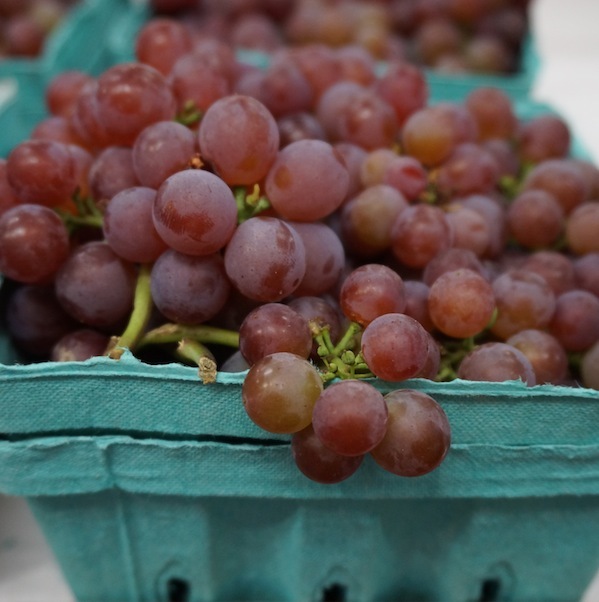 What to look for: Grapes should be smooth, plump and colorful, still firmly attached to green stems. Storage: Refrigerate in a perforated plastic bag up to a week. Wash just before use. Nutritional benefits: Grapes are free of fat and saturated fat and low in sodium. What to look for: Fruits should feel heavy for their size and be firm with thin, smooth skin. Avoid if they are bruised or look dry and spongy. Storage: Store in a cool, dry place for up to a week or refrigerate for up to 3 weeks. All cut citrus should be refrigerated. Nutritional benefits: Grapefruits are free of fat, saturated fat and sodium and are high in vitamins A and C.
What to look for: Garlic’s papery skin should be soft, but not brittle, and cloves should be firm and compact. Storage: Unpeeled garlic should be stored in a cool, dry place with good ventilation. Peeled or cut garlic should be refrigerated in a sealed container. Nutritional benefits: Garlic is low in saturated fat and a good source of vitamin C and B6. It may boost the immune system, fight inflammation and keep blood pressure balanced. What to look for: Ginger root should smell spicy and have firm roots and smooth skin without cracks. Storage: Wrap in a paper towel or plastic bag and refrigerate up to 3 weeks. Nutritional benefits: Ginger root is low in fat and sodium. It also contains vitamin C, magnesium and potassium. What to look for: Green beans should be firm, crisp and snap easily when bent. Storage: Refrigerate in a plastic bag up to a week. Nutritional benefits: Green beans are low in calories, free of fat, saturated fat and sodium and a good source of fiber and vitamin C.
What to look for: The white base of green onions should be firm and tops should be crisp and green. Storage: Refrigerate in a sealed plastic bag. Nutritional benefits: Green onions are low in calories and sodium and free of fat and saturated fat. What to look for: Ripe melons are slightly soft at the stem end and very fragrant. Skin should be waxy, not fuzzy. Avoid if it has any other soft spots. Storage: Ripen at room temperature. 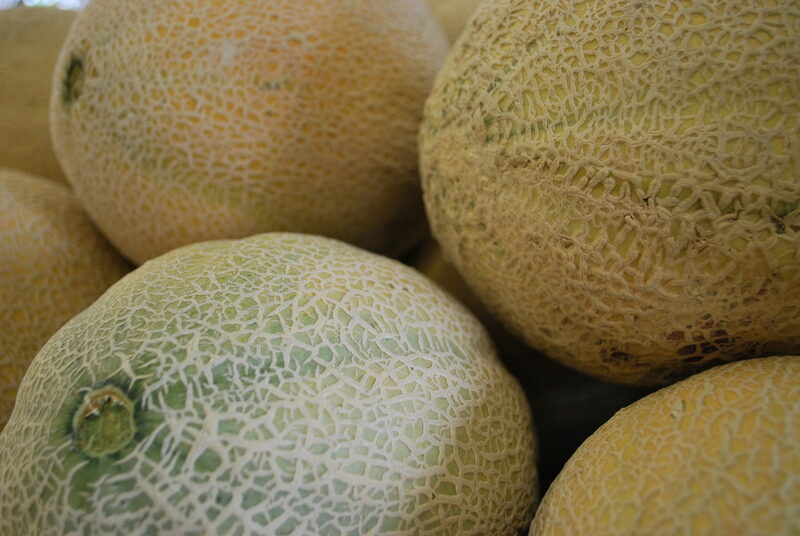 Store ripe melons up to two weeks in a cool, dry place away from other fruits. Cut melons should be stored in the refrigerator for up to 5 days. Nutritional benefits: Honeydew melons are low in sodium, free of fat and saturated fat and high in vitamin C.
What to look for: Fruit should be slightly firm, fuzzy, and yield to gentle pressure. Storage: Refrigerate up to 6 weeks, storing away from other fruit to prevent over-ripening. Ripen at room temperature. A ripe kiwifruit will smell fragrant. Nutritional benefits: Kiwifruit is low in fat and free of saturated fat and sodium. It is a good source of fiber, potassium and vitamins E and C.
What to look for: Fruit should be small and brilliant orange with shiny green leaves. Storage: Refrigerate up to 2 weeks. Nutritional benefits: Kumquats are low in fat and sodium and free of saturated fat. They are an excellent source of fiber and vitamin C.
Uses: Kumquats are eaten whole with the skin still intact. 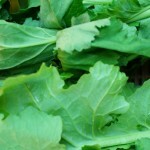 What to look for: Kale should have crisp, deeply-colored leaves. Smaller leaves are usually more tender. Avoid if leaves are yellowed. Nutritional benefits: Kale is low in fat and sodium and free of saturated fat. It is a great source of vitamins A and C, calcium and potassium. What to look for: Kohlrabi should have firm globes that are heavy for their size. Avoid if they are bruised or cracked. 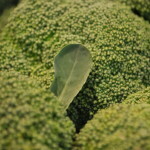 Storage: Leaves should be washed and refrigerated in a plastic bag up to 3 days. Globes can be kept up to 10 days. Nutritional benefits: Kohlrabi is low in sodium and calories, fat free and a good source of vitamin C and fiber. What to look for: Lemons should feel heavy for their size and be firm with thin, shiny skin. Storage: Refrigerate up to 2 weeks away from other fruits so they don’t absorb other flavors. Wash before using. Nutritional benefits: Lemons are free of sodium, fat and saturated fat and high in vitamin C.
What to look for: Limes should feel heavy for their size and be firm with thin, shiny skin. Nutritional benefits: Limes are free of sodium, fat and saturated fat and high in vitamin C.
What to look for: Fragrant, with skin ranging in color from dappled yellow-orange to light red. Look for mangoes that indent slightly when pressed with your thumb. Avoid if they have sap on the skin. Storage: Ripen at room temperature. Refrigerate sliced mangoes. Nutritional benefits: Mangoes are low in fat and free of sodium and saturated fat. They are a good source of vitamins C and A. What to look for: The white base of leeks should be firm and the tops should be crisp, green and tightly rolled. Thinner leeks tend to be more tender and larger plants are generally more fibrous. Storage: Keep refrigerated up to 2 weeks. Nutritional benefits: Leeks are free of fat and low in sodium. 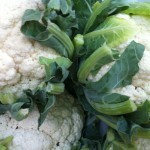 They are a great source of vitamins A and C and folate. What to look for: Fruit should be plump with yellow to red skin and just starting to soften near the stem. Avoid if overly hard, soft or shriveled. Storage: Ripen fruit in a paper bag at room temperature and keep at room temperature up to 3 days. Nutritional benefits: Nectarines are low in fat, free of saturated fat and sodium and a good source of vitamin C.
What to look for: Fruits should be firm and heavy for their size. Avoid if they are bruised, discolored at the stem end or look dry and spongy. Storage: Store in a cool, dry place for up to a week or refrigerate up to 3 weeks. All cut citrus should be refrigerated. Nutritional benefits: Oranges are free of fat and sodium and are a great source of vitamin C.
What to look for: Onions should be clean, dry and firm. They should feel heavy for their size and have papery skin. Avoid if they have green sprouts or soft spots. Storage: Store in a cool, dry place with good ventilation up to 4 weeks. Keep away from potatoes since they will absorb the onion’s moisture. Refrigerate sliced onions. Nutritional benefits: Onions are low in sodium, free of fat and saturated fat and high in vitamin C and dietary fiber. What to look for: Papayas should have smooth skin with yellow streaks that gives slightly with gentle pressure. 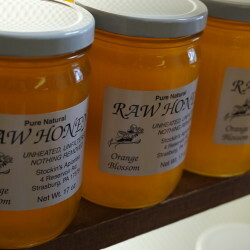 When they are ripe, the color will be closer to yellow or orange. Storage: Place in a paper bag at room temperature to ripen. Nutritional benefits: Papayas are free of fat and sodium and are a great source of potassium, folate and vitamins A and C.
Tip: Papaya seeds can be eaten and have a slightly peppery taste. 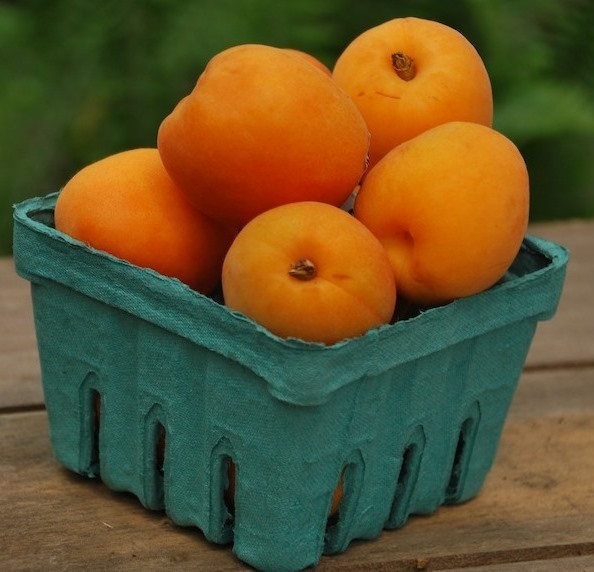 What to look for: Peaches should be fragrant and fuzzy. Look for firm fruit that gives slightly with gentle pressure. Avoid if shriveled or bruised. Storage: Place in a paper bag at room temperature to ripen. Refrigerate ripe fruit. Nutritional benefits: Peaches are low in fat, free of saturated fat and sodium and a good source of vitamin C.
What to look for: Pears should give slightly to gentle pressure at the stem end. Avoid if overly soft or bruised. Storage: Place in a paper bag to ripen. Once ripe, keep refrigerated. Nutritional benefits: Pears are free of fat, saturated fat and sodium and a great source of vitamin C and dietary fiber. What to look for: Pineapples should be fragrant with fresh, deep green leaves that pull out easily with a gentle tug. Avoid if they have dark soft spots. Storage: Ripen at room temperature. Ripe pineapples should be consumed as soon as possible and cut pineapples should be refrigerated no more than 3 days. Nutritional benefits: Pineapples are free of fat and saturated fat. 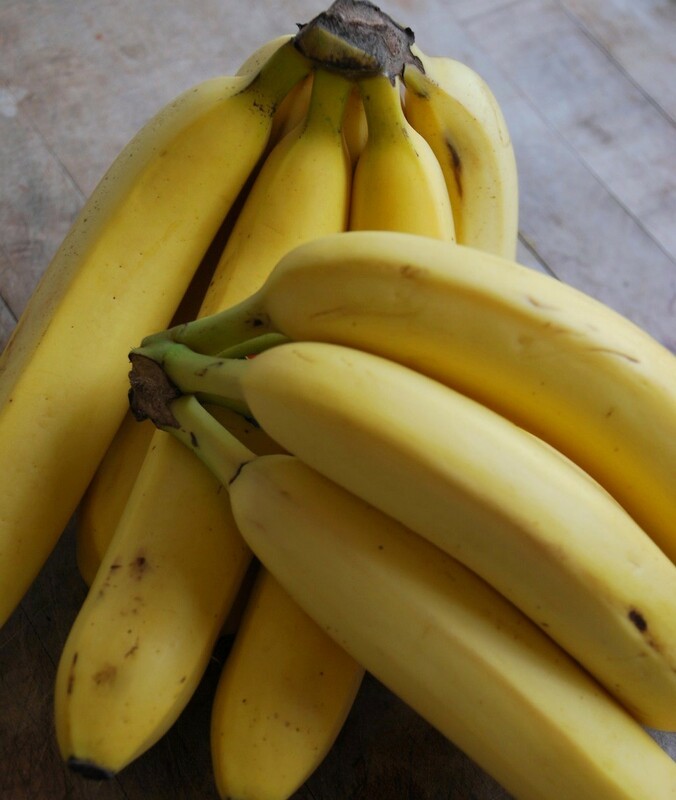 They are very low in sodium and high in vitamin C.
What to look for: Green/yellow plantains should be firm, while brown/black plantains should give slightly with gentle pressure. Avoid if moldy. Storage: Store plantains at room temperature with adequate ventilation. Uses: Plantains must always be cooked before eating. Green plantains should be boiled and eaten as a starchy vegetable, but black plantains can be sautéed or baked prior to eating as a dessert. Nutritional benefits: Plantains are free of fat and sodium and a great source of potassium and vitamins A and C.
What to look for: Bold colors ranging from green to red or purple based on variety. Fruit should be plump and somewhat firm, but should give slightly with gentle pressure. 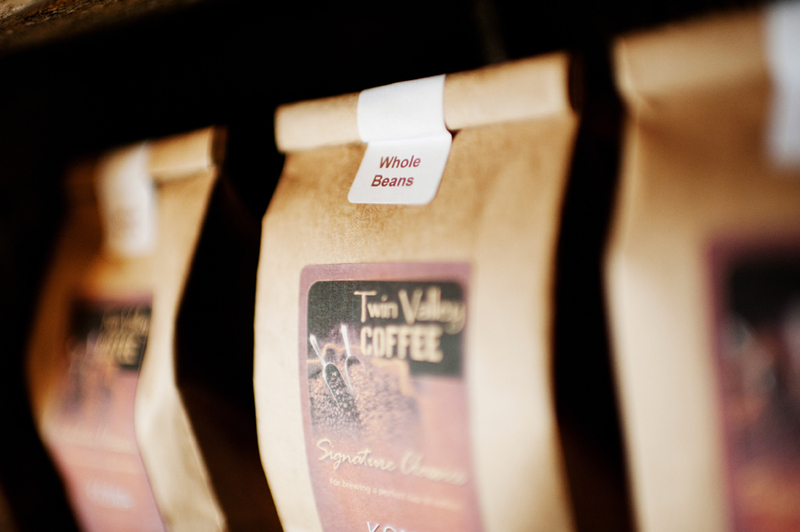 Storage: Ripen in a paper bag at room temperature. Refrigerate once ripe. Nutritional benefits: Plums are free of fat, saturated fat and sodium and a good source of vitamin C.
What to look for: Fruit should be plump and heavy for its size. Avoid if it is shriveled or has soft spots. Storage: Keep refrigerated up to 2 months. Nutritional benefits: Pomegranates are free of fat and sodium and are a good source of vitamin C and potassium. What to look for: Choose small and medium-sized parsnips with ivory roots. Larger roots tend to be more fibrous and smaller roots tend to be more flavorful. Avoid if they have gray soft spots. Storage: Refrigerate in an open plastic bag up to 3 weeks. Nutritional benefits: Parsnips are fat free, low in sodium and a good source of vitamin C, folate and fiber. 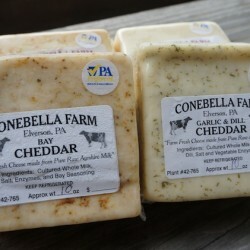 Uses: Mix with potatoes when making mashed potatoes for a richer, more complex taste. What to look for: Green peas and snap peas should be crisp with well-filled pods that are light to bright green. Avoid if they are bulging, wrinkled, or are white or yellow. Nutritional benefits: Peas are free of fat and sodium and a great source of vitamins A and C, folate and dietary fiber. What to look for: Potatoes should be firm and smooth without any sprouts, bruises or green spots. Storage: Store in a cool, dry, dark place with good ventilation for up to 5 weeks. Nutritional benefits: Potatoes are free of fat, saturated fat and sodium and high in vitamin C and potassium. What to look for: Raspberries should be plump and dry. Avoid if moldy or crushed. Storage: Keep refrigerated up to 2 days and cover loosely with plastic wrap. Wash just before use. 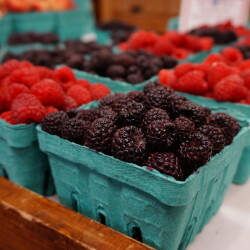 Nutritional benefits: Raspberries are free of fat and sodium. They are high in dietary fiber and vitamin C.
Freezing fruit: Remove stems, rinse gently and place stem-side down on baking sheet. Once frozen, transfer berries to a zip-lock freezer bag. What to look for: Radishes should be firm and smooth with bold colors and fresh green tops. Storage: Remove tops and refrigerate in an open plastic bag up to a week. Nutritional benefits: Radishes are free of fat and saturated fat, low in sodium and calories and high in vitamin C.
What to look for: Rhubarb should have thick, crisp stalks ranging from pink to deep red. Avoid soft stalks, and do not eat the poisonous leaves! Nutritional benefits: Rhubarb is low in calories, free of sodium and fat and a good source of vitamin C.
What to look for: Rutabaga should be firm and feel heavy for its size and should not be bruised or cracked. Nutritional benefits: Rutabaga is low in sodium, fat free and an excellent source of vitamin C.
What to look for: Firm with bright color and fresh-looking leaves and stems. Avoid if moldy or crushed. Storage: Keep refrigerated up to 3 days and cover loosely with plastic wrap. Wash just before use. Nutritional benefits: Strawberries are free of fat, saturated fat and sodium and high in folate and vitamin C.
What to look for: Spinach should be fresh with tender, dark green leaves. Avoid if ends are wilted or yellowed. Storage: Place in a plastic bag with a paper towel and refrigerate up to 5 days. Keep away from other fruits to avoid deterioration. Nutritional benefits: Spinach is free of fat and saturated fat and low in calories. It also contains high levels of vitamins A and C, iron and dietary fiber and is a great source of fiber, folate and magnesium. What to look for: Winter squash should have their stems intact, feel heavy for their size and not have any bruises or cracks. Storage: Store in a cool, dry place away from sunlight up to 3 months. Nutritional benefits: Acorn squash is fat free and a great source of vitamins A and C, as well as potassium, calcium, magnesium, folate and fiber. What to look for: Butternut squash should feel heavy for its size, have its stems intact and should not have any bruises or cracks. Storage: Store in a cool, dry place up to a month. Nutritional benefits: Butternut squash is free of fat and sodium and a great source of vitamins A and C, as well as fiber, potassium and magnesium. What to look for: Smooth and brightly colored skin without any dull spots. Summer squash should feel heavy for its size. Storage: Refrigerate in an open plastic bag 3-4 days. Nutritional benefits: Summer squash are free of sodium, fat and saturated fat, low in calories and high in vitamin C.
What to look for: Sweet potatoes should be firm and uniform in shape and color with unwrinkled skin. Avoid if they are overly large or have cuts, bruises or soft spots. Storage: Store in a cool, dry place with good ventilation up to 5 weeks. Do not refrigerate. Nutritional benefits: Sweet potatoes and yams are free of fat and saturated fat and low in sodium. They are a great source of dietary fiber and potassium and are high in vitamins A and C.
What to look for: Tangerines should be bright orange, slightly soft and heavy for their size. Avoid if they are very soft or bruised. Nutritional benefits: Tangerines are free of fat, saturated fat and sodium and high in vitamin C.
What to look for: Tomatoes should be firm and fragrant. The stem ends should smell “earthy” and tomatoes should feel heavy for their size. Avoid if skin is wrinkled. Storage: Store at room temperature up to a week. Do not refrigerate tomatoes or they will lose their flavor and become mealy. Nutritional benefits: Tomatoes are low in fat, sodium and calories and free of saturated fat. 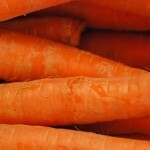 They are also high in vitamins A and C and a good source of potassium. What to look for: Turnips should be firm and feel heavy for their size with fresh-looking tops. Smaller turnips are sweeter and more tender, while larger plants tend to be more fibrous. Storage: Refrigerate in an open plastic bag for just a few days or else they will taste bitter. Nutritional benefits: Turnips are low in sodium, fat free and an excellent source of vitamin C.
Storage: Keep in a cool, dry place away from other fruits. Refrigerate cut melons, keeping them up to 5 days. What to look for: Watermelon should sound hollow when tapped, be a uniform shape and have smooth skin. Nutritional benefits: Watermelons are free of fat, saturated fat and sodium, and high in vitamins A and C.
Give the gift of Weaver’s Orchard! Purchase gift cards in person, or call in your order and we’ll mail the card to the recipient. Don’t see a product you’re looking for? Tell us! We may be able to order it or even start carrying it. 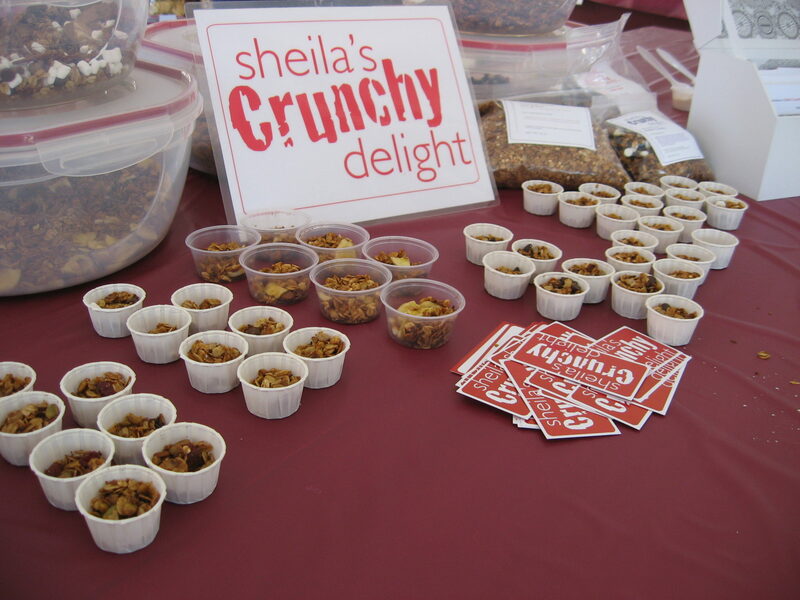 We are pleased to participate in the Farmers’ Market Nutrition Program.